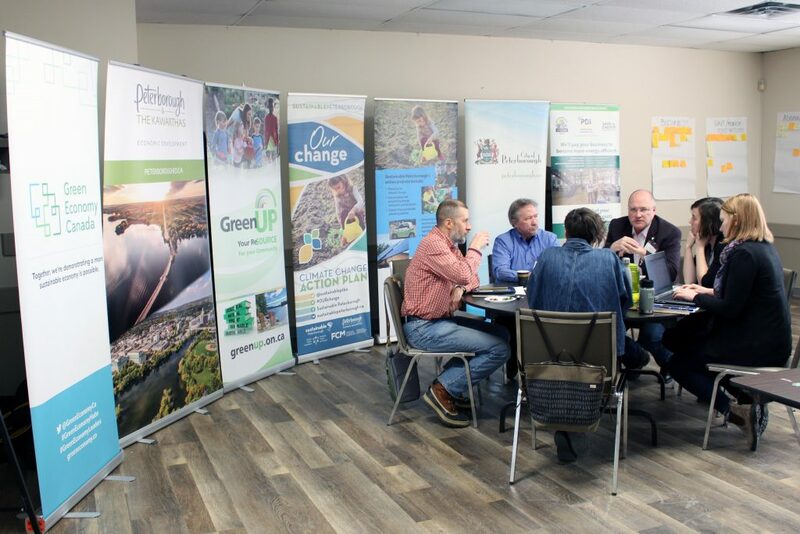 Over the last three months, Green Economy Canada has been working alongside the City of Peterborough, Peterborough Distribution Inc., Peterborough GreenUP, Peterborough & the Kawarthas Economic Development, and Sustainable Peterborough, to explore the development of a Green Economy Hub in Peterborough. 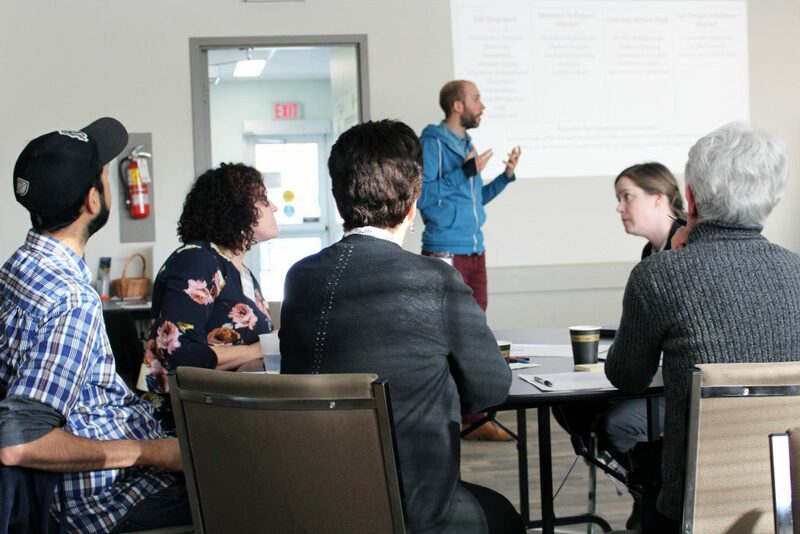 On Thursday, January 31 and Friday, February 1, approximately 40 community stakeholders representing a cross section of local sectors — including small and medium businesses, First Nations, municipalities, post-secondary institutions, other public sector organizations, and community non-profits — participated in a series of community workshops. 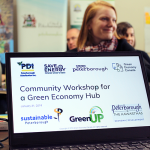 With a lot of local enthusiasm already expressed for a Green Economy Hub in Peterborough, these workshops were designed to assess broader community interest and provide an open forum for questions and feedback on what a Hub would mean for the community. Workshop participants listening to each other introducing themselves and sharing why they were interested in being at the workshop and discussing what a Hub might look like for Peterborough. 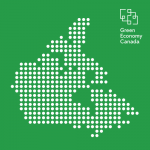 Green Economy Canada introducing what a Green Economy Hub is and the current Hubs in our network across Ontario. 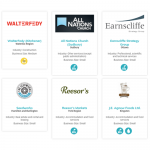 This was followed by our local Peterborough partners sharing why the time is right for a Hub in their community. Workshop participants were invited to write down a sustainability goal for their organization on a sticky note to create an ‘ecosystem map’ of those in the room. 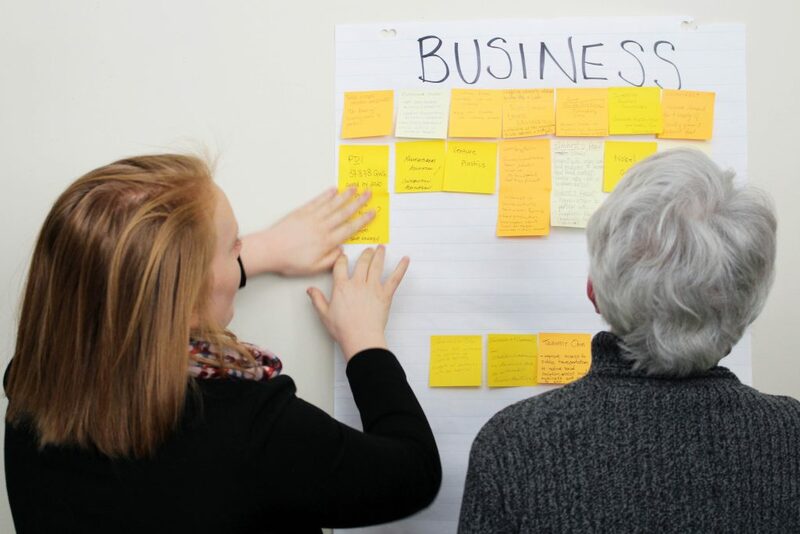 Workshop participants reading and discussing the sustainability goals of local businesses. 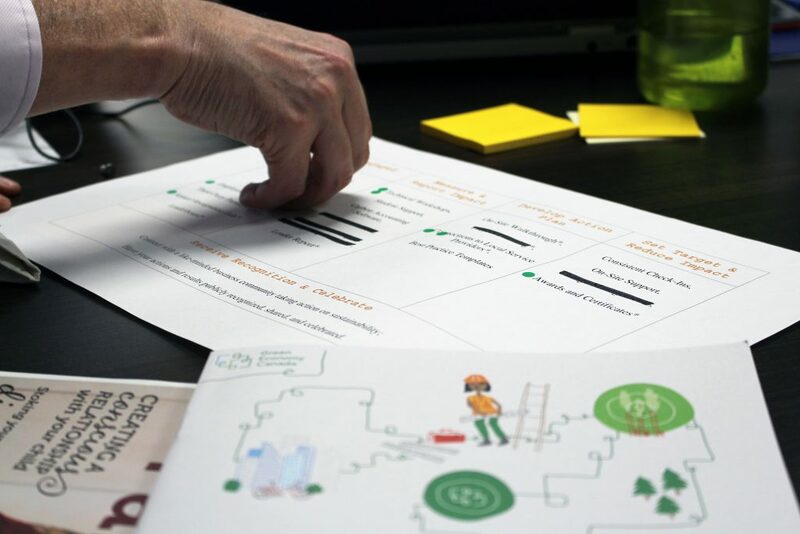 Facilitated small group discussions enabled participants to share their individual and organizational perspectives. Workshop participant voting via ‘dotmocracy’ on the services that would be important for a Peterborough Hub to provide. 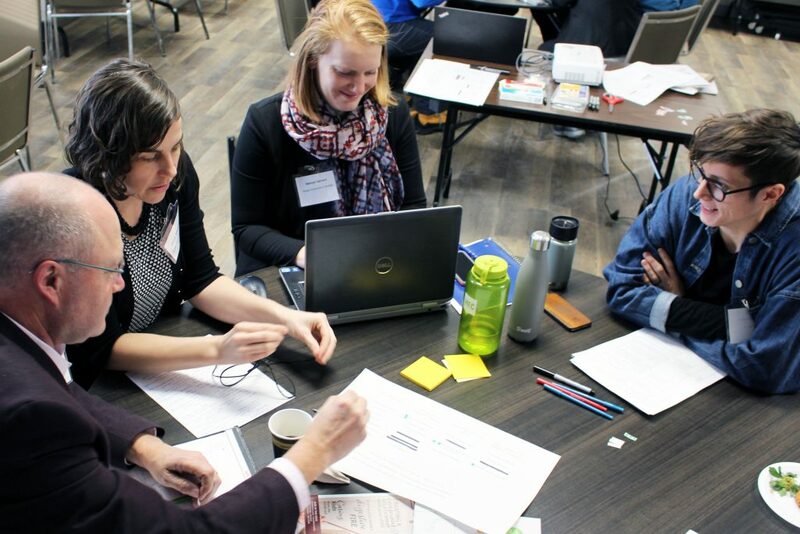 Workshop participants discussing the value of setting public greenhouse gas reduction targets. 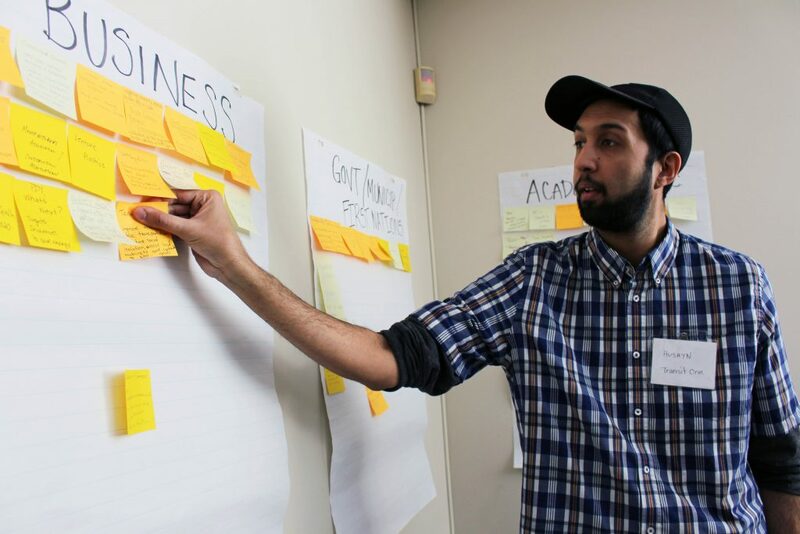 We really enjoyed the opportunity to be in Peterborough and to hear from a diverse set of community stakeholders. 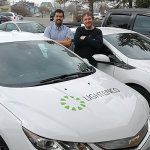 We were buoyed by the local interest and enthusiasm for a Green Economy Hub and look forward to continuing the conversation with our Peterborough partners. 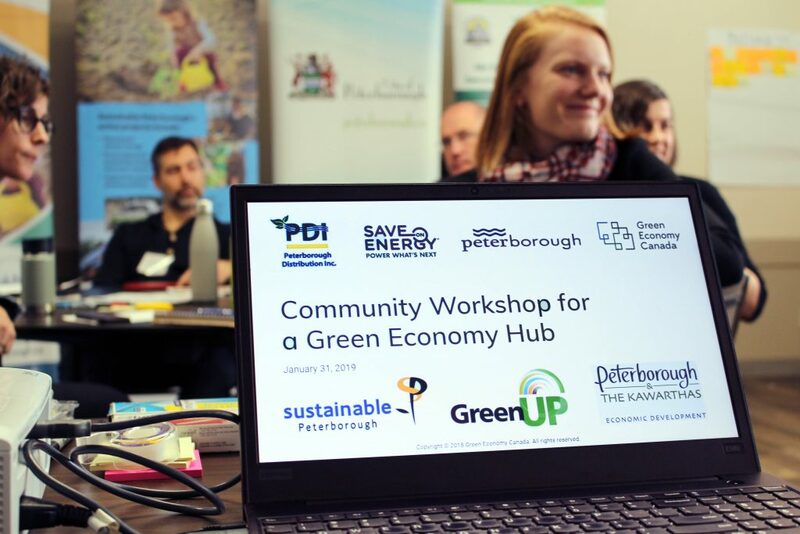 Follow us on Twitter @GreenEconomyCa or subscribe to our bi-monthly newsletter, The Target, to stay up-to-date on how our work progresses with Peterborough and other network news.